Welcome home to this beautifully updated 3 bed/3 bath home backing up to green space! Upon entering, you'll notice the high ceilings in the main living area, along with a plentiful amount of windows which bathe the open concept floor plan in natural light. The gorgeous dine-in kitchen is upgraded with newer tile flooring, ample cabinet space with a pantry, and stainless steel appliances. The main level also comes complete with a convenient full bathroom, and access to the 2-car attached garage. Upstairs, you'll find the master suite with its own full bathroom, along with two more spacious bedrooms and yet another full bathroom. Head outside to experience the large back deck, which provides the perfect backdrop for entertaining on a warm Colorado evening. 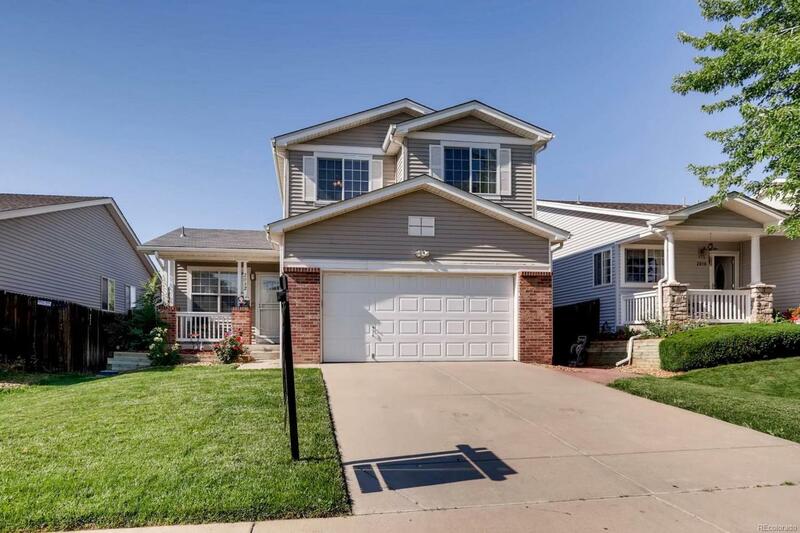 This home is located in a great neighborhood near schools, parks, shopping, and so much more. Schedule your private showing today!